BOISE, Idaho — Bob Miller has been named chief executive officer of Albertsons, replacing Robert Edwards, who will assume the role of vice chairman. Miller will continue to serve as executive chairman of the company, which comprises Albertsons LLC, New Albertsons Inc. and Safeway Inc.
Edwards, who had been chief executive officer of Safeway before its acquisition by Albertsons’ parent company, AB Acquisition LLC, had been named Albertsons CEO when the deal closed in January. As vice chairman, he will provide counsel to the board of directors and the company on key strategic and integration matters. For Miller, the change gives him the role he sought 25 years ago. His retailing career began as a store associate at Albertsons Inc. in the 1960s and took him up through the managerial ranks until he was appointed executive vice president of operations in 1988. When he was passed over for the CEO’s position, Miller embarked on an executive journey that took him to the leadership first of Portland, Ore.-based Fred Meyer Inc. and then to Rite Aid Corp. In 2006 Albertsons effectively self-destructed, selling most of its assets to Supervalu Inc. and CVS Corp. Cerberus Capital, a private equity firm, acquired around 600 of the less desirable Albertsons locations and hired Miller as CEO of the operation, Albertsons LLC. In 2012 Cerberus bought the supermarket assets Supervalu had acquired six years before, and Miller became executive chairman of what, in effect, was a reconstituted Albertsons. With the Safeway acquisition Albertsons became the second-largest supermarket operator in the country with approximately 2,400 stores, trailing only Kroger Co.
Perhaps in recognition of the vast new scale of the company, which stretches from coast to coast, Albertsons is restructuring its executive leadership team, creating an Office of the CEO to support the day-to-day operations of the company’s 14 divisions and 2,200 stores. In addition to Miller, the Office of the CEO will include Wayne Denningham as chief operating officer for all regions; Justin Dye, chief administrative officer; and Shane Sampson, chief marketing and merchandising officer. Jim Perkins and Kelly Griffith will continue their roles as executive vice presidents of operations for the regions but will now report to Denningham. Like Miller, Denningham began his career with Albertsons, starting as a clerk in 1977 and eventually becoming president of the Dallas-Fort Worth division. He joined Albertsons LLC in 2006 and led four different regions before being appointed executive vice president and chief operating officer of the South region in January. Dye also joined Albertsons in 2006 as chief strategy officer, playing an integral role in the formation of the company. In 2013 he was named chief operating officer of New Albertsons Inc. and led the turnaround of the pharmacy business across all of the banners acquired from Supervalu. In February Dye was appointed chief administrative officer with responsibility for information technology, supply chain, corporate development, real estate and integration management. 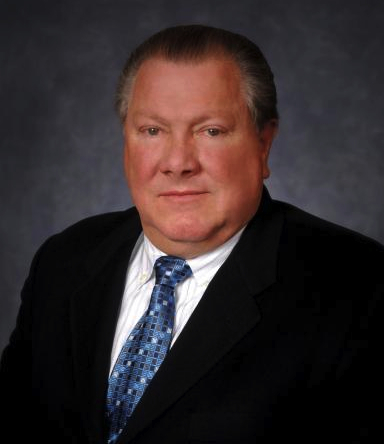 Sampson is another Albertsons Inc. veteran, having eventually become president of both the Florida and Intermountain divisions. In 2002 he left the company to take a position with Walmart’s Sam’s Club division, but he joined Albertsons LLC in 2006 as vice president of merchandising and marketing for the Southern division. After a stint at Ahold USA’s Giant Food division, he rejoined Albertsons in 2013 to take the role of president of Shaw’s and Star Market. Last year he was named president of Jewel-Osco, and in January he became executive vice president of marketing and merchandising.